The new Giants Stadium (that’s right Jet fans, GIANTS Stadium) was initially named the New Meadowlands Stadium for the 2010-11 season. The National Football League's NY Giants and NY Jets now call MetLife Stadium home after the insurance company purchased the naming rights. The 25 year partnership was announced this past Friday at Bryant Park, with members of the Giants and Jets in attendance. The event was squeezed in before hurricane Irene. MetLife will most certainly host some attractive events during this time, with one VERY big one that comes to mind, the 2014 Super Bowl. It should provide quite the ROI for the insurance company in regard to nationally televised exposure and a variety of other opportunities that come along with hosting our country's most celebrated sporting event. 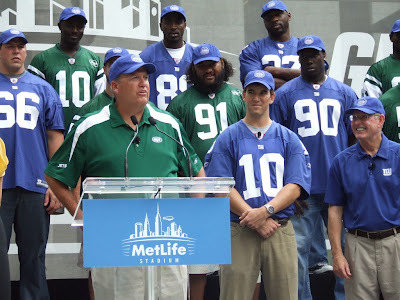 MetLife plans to take full advantage of the entire fan base and that should mean some exciting opportunities for football fans in the Tri-State in the form of ticket offers, face-to-face meetings with players and coaches, field passes, trips to away games, signed memorabilia and more. They have big plans to build a fan-focused sponsorship approach. It’s not just a big dog house for Snoopy when the football teams aren't playing. I raise this piece of news initially because we were honored to provide tenting for the event, but also because I am a devout Giants fan, along with the President & Owner of Stamford Tent, Steve Frost and other fellow employees. It was great fun to be a part of this epic news and also to welcome MetLife to our crazy little world of sports fanaticism. A few of our tents at the Bryant Park event. 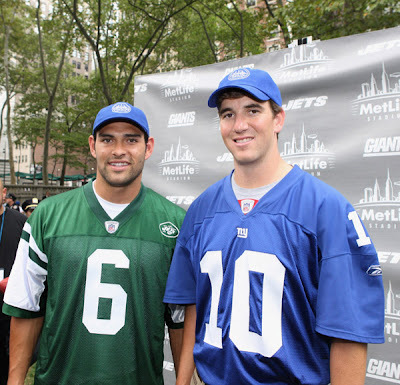 NY Quarterbacks, Mark Sanchez and Eli Manning. 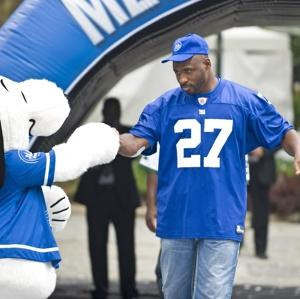 Snoopy welcoming Giants RB, Brandon Jacobs. Jets coach, Rex Ryan speaks to the crowd as players and Giants coach, Tom Coughlin look on. 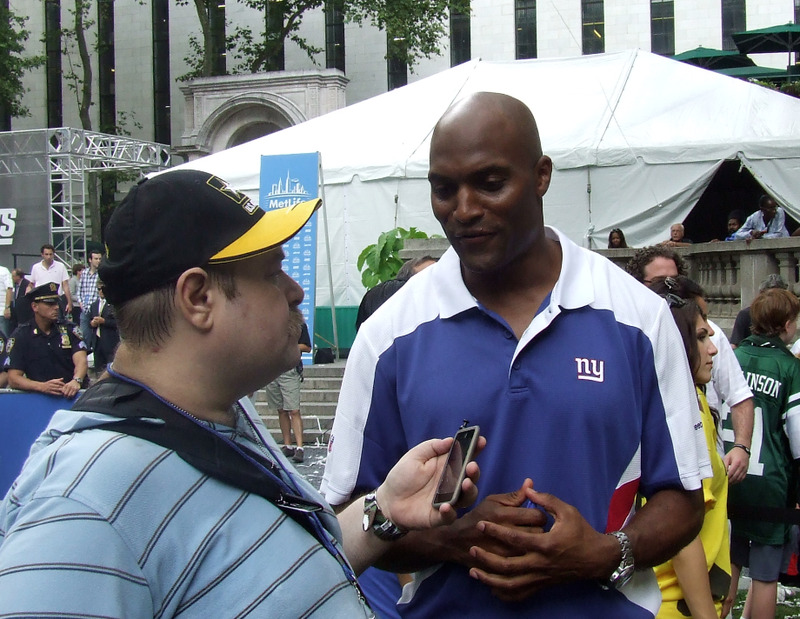 Former Giants WR, Amani Toomer standing in front of one of our frame tents.